As I set out to complete my blog post assignment for the week, I found that I wished to write about two topics. 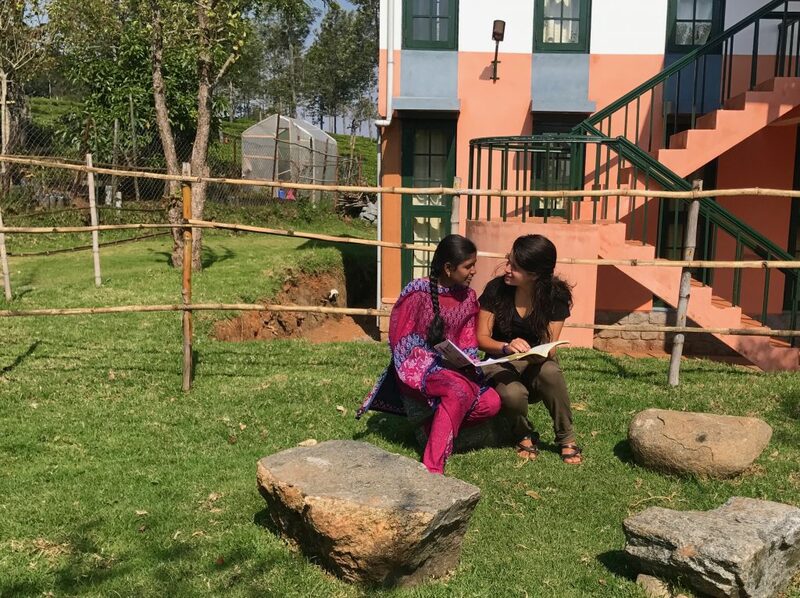 Together they capture the nature of my life at the NFLC – where we are forging ties across boundaries as we learn more about ourselves, the US, our classmates, and communities in the Nilgiris every day. I decided therefore, to ask for both to be uploaded. Ninty-three. The number of days since we first landed in India. We took a bus up the mountain, taking in everything and pointing out each animal we saw as though we had never seen them before. An hour and a little more passed and we reached Keystone. We were excited, nervous, and a bit unsure of what to expect; all we knew was that this place was now home. The term, home, felt surreal at first. It was a just a word I could use to comprehend that I would be here for a while. Eventually, I started using home to reflect the comfort I felt with the place and the people. Weeks passed and I would forget where we were, not realizing the eight-thousand plus miles that separated us from our homes in the States. The only reminder was the ten and a half hour (or more for Emma and Paige) time difference that needed to be considered when we wanted to contact family and friends in the States. For seven weeks, we followed a set schedule of classes and field trips broken up by meal times. By the time Spring Break arrived, we were all ready to escape Kotagiri, explore different cities, and mentally relax before field work. The nine day break brought about its own unexpected adventures: a downpour that prevented a hike, a train station that turned out to be a two hour drive from where we were, a random cow-ram, stumbling upon street festivities, shaky sleeper buses, and lots of delicious food ended with half of the Cornell group spending some time having the Pondicherry-Belly experience in the second part of break. Before break had even ended, most of us (in the Cornell group at least) shared the desire to return to Keystone; and we could not contain our excitement as we drove back up the mountain to Kotagiri. The steep hill up to Keystone that normally terrifies us because of how vehicles struggle to make their way up, brought joy to us all. We could not stop smiling – so happy were we to finally be back home. We spent four days at home before we separated into our project groups and left Keystone to pursue our research in the field. The night before we left, we pushed all the dinner tables together in the canteen to share the meal. And as we talked about random events, I came to notice how much of a family we had become. We have celebrated birthdays and shared our misery over illnesses. We keep each other laughing during times of tension, and play ridiculous game of ‘Odds Are’ where we dare each other to do the most random silly things. Just as in other families we disagree with one another and get on each other’s nerves; but we always support one another. 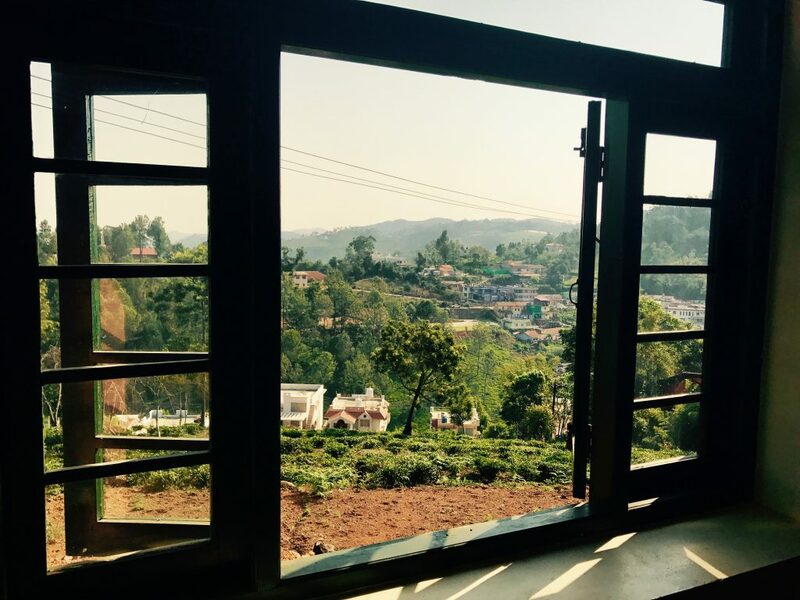 Kotagiri has become my home, and my peers are my family. There are times when we call our loved ones in the States and dream of being back in our own space. There are moments when we list out all the foods we cannot wait to eat again like enchiladas, home-made salads, and pasta dishes that won’t make us sick. But those moments are often overshadowed by all the memories we make here every day. The Patti thought that I was white. She was not the only one to assume this. In India, as I walk around with my peers, everyone sees me as white; in the States, the same thing happens. But everyone, like the Patti, are wrong. I am Latinx. And while my skin color is light, I do not identify with any of the limited racial groups listed on information gathering sheets, preferring to only mark down my ethnic origin. We created this notion of race to classify humans based upon different factors; nowadays it is popularly associated with one’s physical traits, like skin color. It has become a social tool to determine how we think about others and how we treat others. For the most part, I have escaped receiving direct racial slurs about my culture. My skin color protects me from racial attacks on individuals many ethnic minorities experience; and I am guilty of having used my skin tone in the past to avoid much of the negativity and bullying two of my sisters faced while in school. But, never have I declined my origins nor will I in the future. 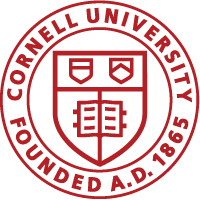 Recently, I was asked by a Cornell peer, if it was not my responsibility to correct people when they assumed I am white. My response: yes and no. I am not going to carry a sign saying “I am not white” to correct everyone’s opinion. Nor will I stop saying I am Latinx, a gender-neutral identity describing my Latin American1 origins. But the circumstances by which I will share my background, and change the assumptions made about me, will depend on the environment and my ability to communicate my sense of self without translation. This is difficult while in Kotagiri though I have explained the idea of Latinx in class with help from our translators. So, ask me if all people in America are white. And I will say, America is not just the United States. It is Canada, Mexico, the Caribbean, Central America, and South America; and there are people of every skin color living in all the countries of America including people like me, who are not connected by the color of our skin, but rather by our ancestry. We are Latinx. 1Latin America refers to countries of North and South America that lie south of the United States where a Romance language is spoken.